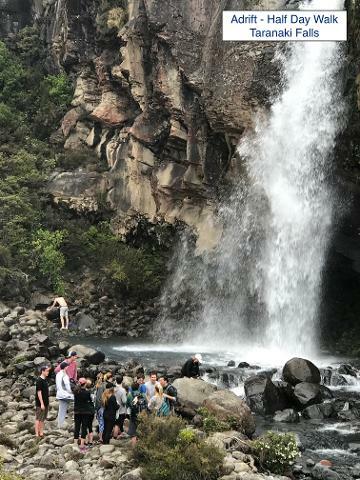 If time is limited and you are unable to spend the whole day walking the Tongariro Crossing, then the 4-hour Half Day Volcanic Explorer Guided Walk is for you. Enjoy the beautiful landscape of the Tongariro National Park with this half day tour. When possible, we will start on the Tongariro Alpine Crossing track and head up to Soda Springs before returning to the start. 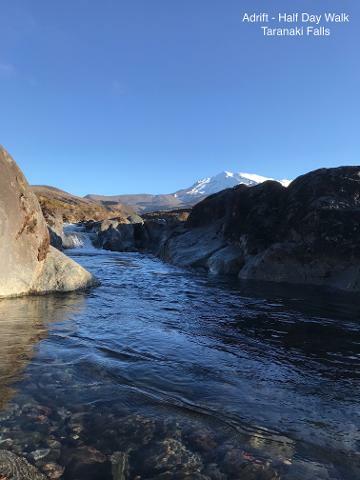 For the morning tours, at Soda Springs we give you the option to upgrade to the full day walk and join in with the full day guided party to complete the Tongariro Alpine Crossing. 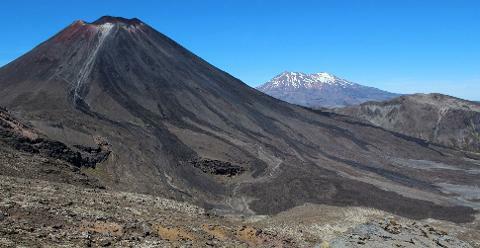 If the Tongariro Alpine Crossing walk is not suitable on the day, we have a menu of smaller walks we can enjoy. We will talk and show you all things relevant to Tongariro and New Zealand including recent and past eruptions, geology, flora and fauna discovery and settlement of NZ. 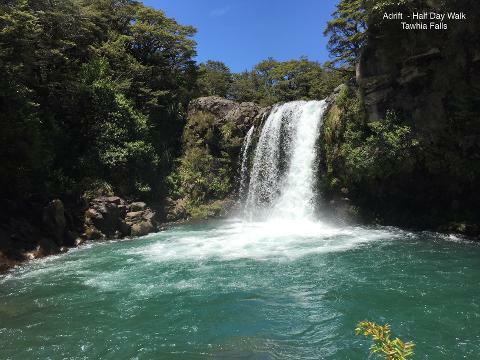 These are the most popular Tongariro sites we choose from and include in the 4 hours: Lake Rotopounamu, Taranaki Falls, Silica Rapids, Soda Springs, Pukeonake, Whakapapanui River, Tawhai falls, Meads Wall. Guide/s, transport between the Adrift Tongariro base and the activity, $40 of clothing and footwear hire (boots $20, clothing $10, socks, gloves, hats, sunglasses $5 per item). 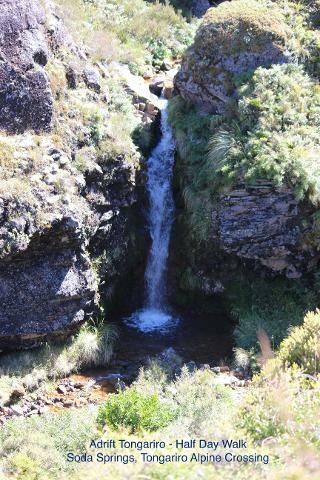 Whilst on this tour and in reaching Soda Springs, you can decide to upgrade to a full day tour at an additional cost of $50pp. You must have lunch and adequate water to upgrade. Tour starts and finishes at the Adrift Tongariro Base 53 Carroll St, National Park Village. We endeavor to remove the risk of clients not having adequate clothing and equipment for the conditions. To achieve this we request clients to meet at the Adrift Tongariro base to improve both safety and service as this is outfitted with all equipment and clothing needs for the conditions of the day. Return transfers are an additional service and cost over and above the tour booking and require a minimum of 2 to operate. For full terms and conditions click here. Summer (1 October - 30 April), Winter (1 May - 30 September). Water, outdoor shoes with grip, long walking pants, 2 x warm tops and a raincoat. It is essential all clients phone the Adrift Tongariro base between 10:00am - 5:00pm the day prior to trip date to confirm tour departure time and discuss exact timings. +64 7892 2751.